Panera Bread is a American, American,Sandwiches,Soup,Bakery, and Catering restaurant where most Menuism users came for fun with friends and paid less than $10. "Items on menu board that were not available. Said they did not have anyone talk enough to update the board. Unacceptable. Also very disorganized and very slow service. Would never return to this location. Definitely not up to the standard of other Panera "
A dining patron from Fremont, CA tried it. A diner from Birmingham, AL tried it, didn't like it, and rated it . They didn't like the food, liked the service, and didn't like the ambiance. 1 review of Panera Bread, first by ninjakitty. I love the Country bread. The combination of all the fixings is perfect. I could eat this sandwich every day. It is THAT good. I LOVE THIS SOUP. Pair it with the Turkey Breast on Country and you’ll be in combo heaven!!! This is really an exceptional creamy tomato soup. Try it! These dishes from the Panera Bread menu are contributed by Menuism users directly, as part of a restaurant review, or as part of a photo upload. Panera Bread is located near the cities of Converse. 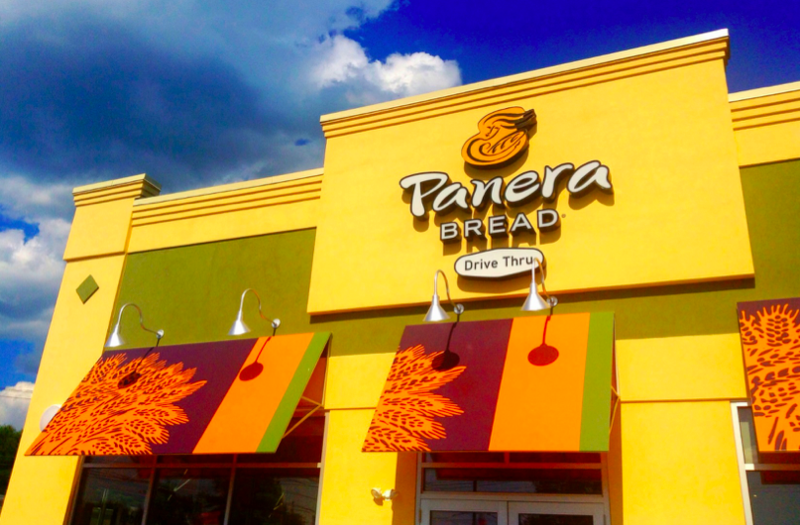 People found this by searching for: Brentwood Panera Bread, Menu Panera Bread, Brentwood, Tn, Panera Bread Brentwood Tn, Panera Cool Springs, Panera In Brentwood Tn, Panera Brentwood Tn, Panera Brentwood, and Panera Bread Brentwood.